Mesa Verde Cliff Palace, the largest and most famous cliff dwelling in Mesa Verde National Park bullt by the Anasazi centuries ago. It has over 150 individual rooms and more than 20 kivas (rooms for religious rituals). 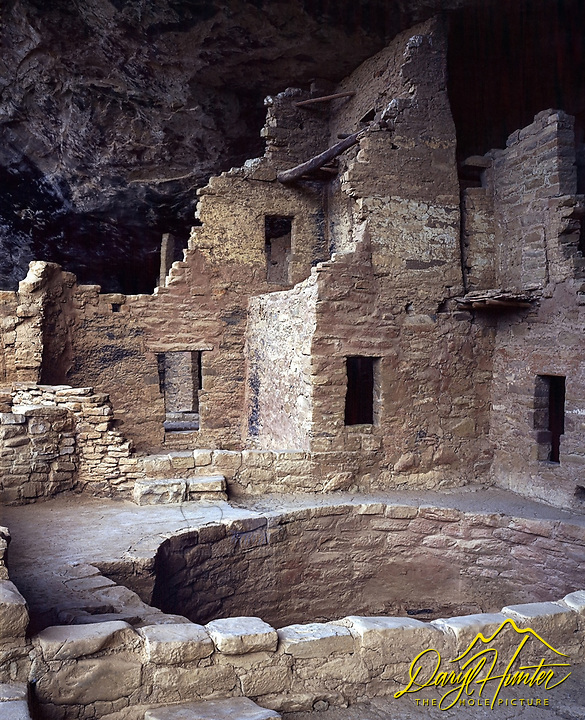 Crafted of sandstone, wooden beams and mortar, Mesa Verde Cliff Palace has been remarkably well preserved from the elements for the past 700 years. I took this photo in 1986 with my 4X5 view camera.